Hospice is much more than nursing care. It focuses on the person, rather than the disease, offering a comprehensive level of care - assuring that physical, psychological, social and spiritual needs are met. 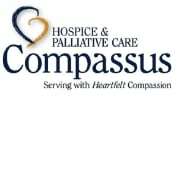 Ultimately, hospice is not about dying. It is about helping people live as well as they can when life expectancy is limited. It is also about surrounding the patient’s family with care and support following the end of the patient’s life in order to help them through their healing journey.